Product #18664 | SKU RODPINMICLONG | 0.0 (no ratings yet) Thanks for your rating! The RØDE PinMic-Long Wearable Microphone is identical to the standard version of the RØDE PinMic except the PinMic-Long is designed to successfully mount to fabric up to 3.5 mm thick. 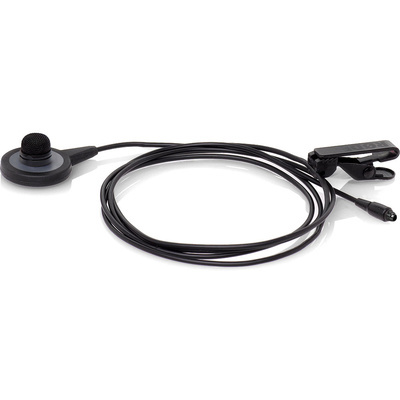 The PinMic-Long delivers a patented mounting system that surpasses traditional lavalier microphones, and enables flexible mounting in all applications. It features a detachable capsule and backplate system. Simply place the backplate to the inside of an article of clothing or other material, and reattach the capsule to the three pins on the backplate.